I had lots of fun playing with Peerless Watercolor. I am never really into coloring images, but these watercolors really make you want to color. all. the time. 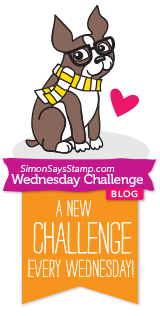 Simon Says Stamp Wednesday Challenge is still going on (anything Goes), have you played yet? Hope you are enjoying the last bit of summer. It all flies by so quickly! I know we are just finishing August....but I do have a Christmas card to share already! It's a nice large cling stamp, right? I had the joy of coloring the image with Spectrum Noir Color Pencils. 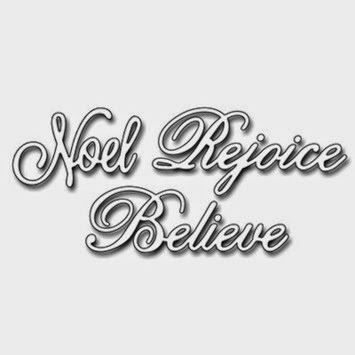 with the sentiment called Exultation. I only used two shades of green and in the end, I added the Wink Of Stella (green). 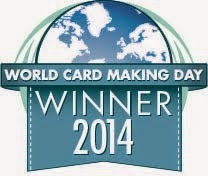 I am not sure if that was a good move....I will share more cards with this stamp! 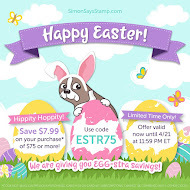 This is my 2nd post for the day, you can click here for Simon Say Stamp or scroll down. Here is a sneak peek of my DT project for StampNation. 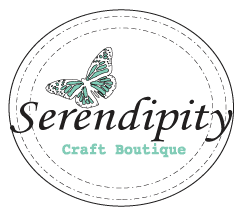 Please click here for membership and benefits. Other than my DT assignments, I have a feature called Virginia's Stamp Clinic. 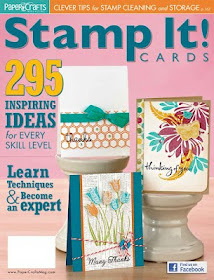 This is where I explore the possibilities of using stamps. 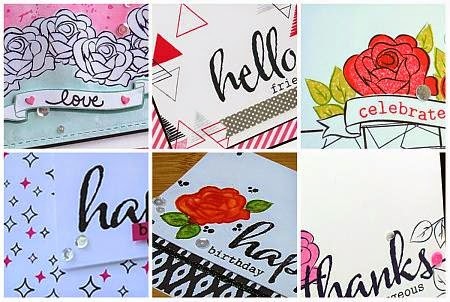 Last time, I made 15 cards with one border stamps and it was so well-received by the members. I hope to continue with the series this fall. 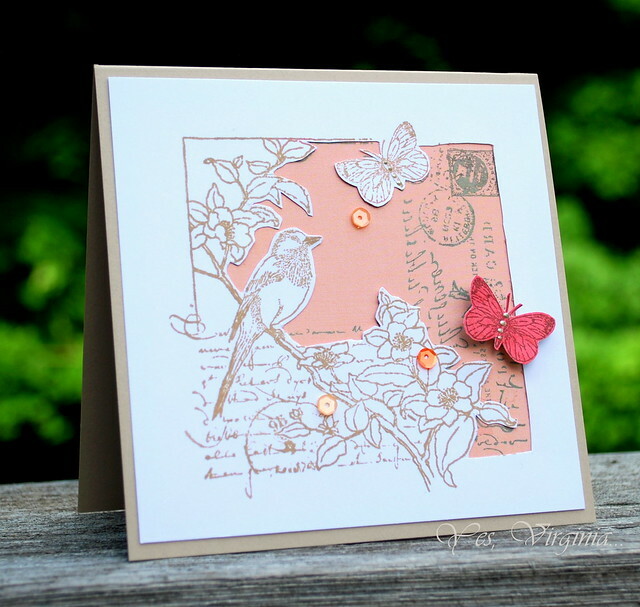 For my project, I used a NEW Memory Box cling stamp called Memory Box Cling Stamp Berry Bird. I believe this stamp was meant for Christmas! 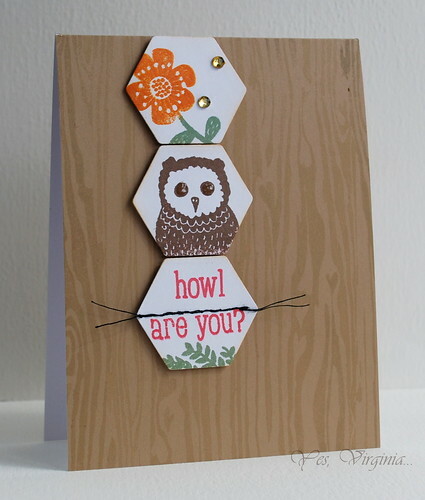 But I like the image so much, I decided that I can "make it work" for an all occasion card. 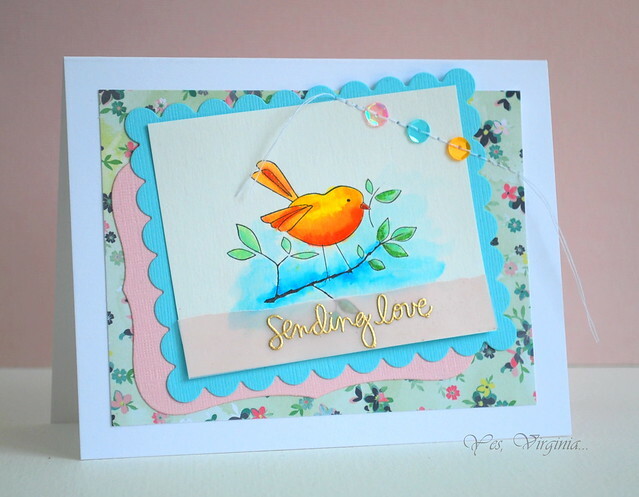 I simply did not stamp the berry image...I used Peerless watercolor to color the bird image. 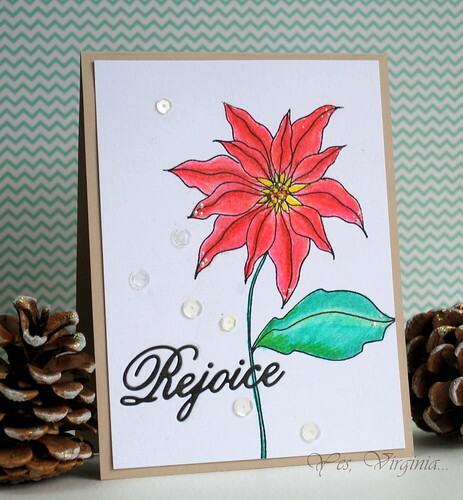 If you are intrigued about this water-coloring media, here is a new video from Jennifer McGuire. She did a SUPERB job explaining how she used them. Hello! 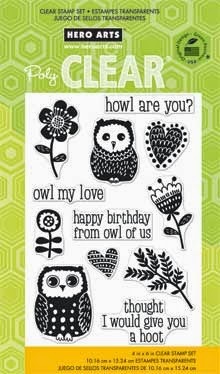 I am popping in to share a quick card. This stamp called Garden Letter is quite detailed and ornate. 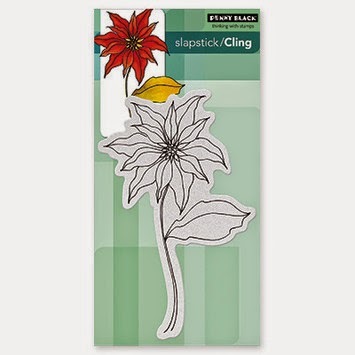 If you love floral collage, this is another great stamp to try! This was a project that I shared over StampNation. If you have never heard of StampNation please click here to find out. I am actually in this StampNation video! 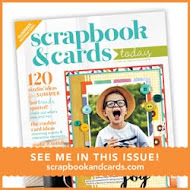 I partially cut out the image and let the background color shine through along with the gold embossing. It's something different, huh? 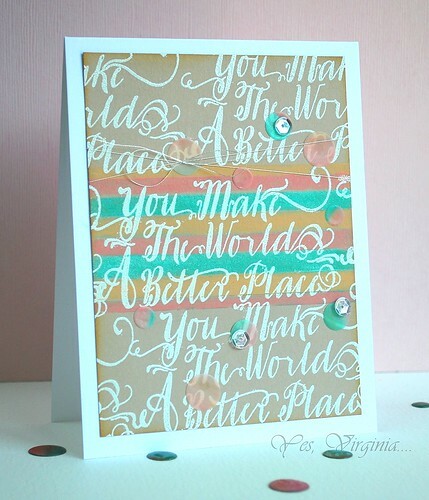 Over StampNation, I have a regular feature called Virginia's Stamp Clinic where I explore the possibilities of using stamps. 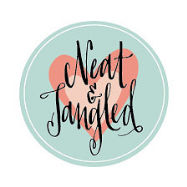 I hope to continue with this series in the Fall. 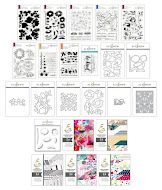 What are the new stamps/dies that you are lusting for? I'd love to know as I am going to compile a huge shopping list. Hello! How is your August going? September is just around the corner, if you can believe it! 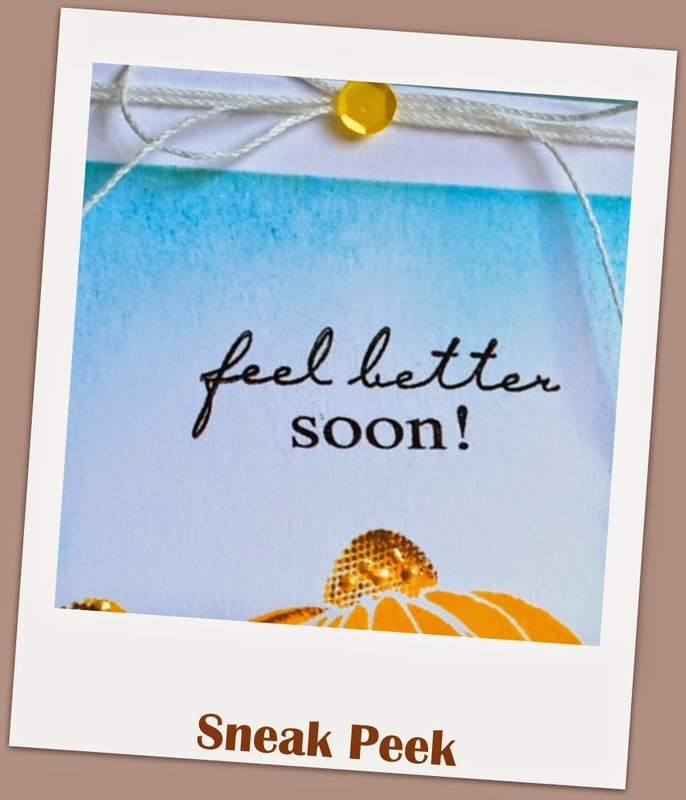 I am popping in to share a quick card with you. 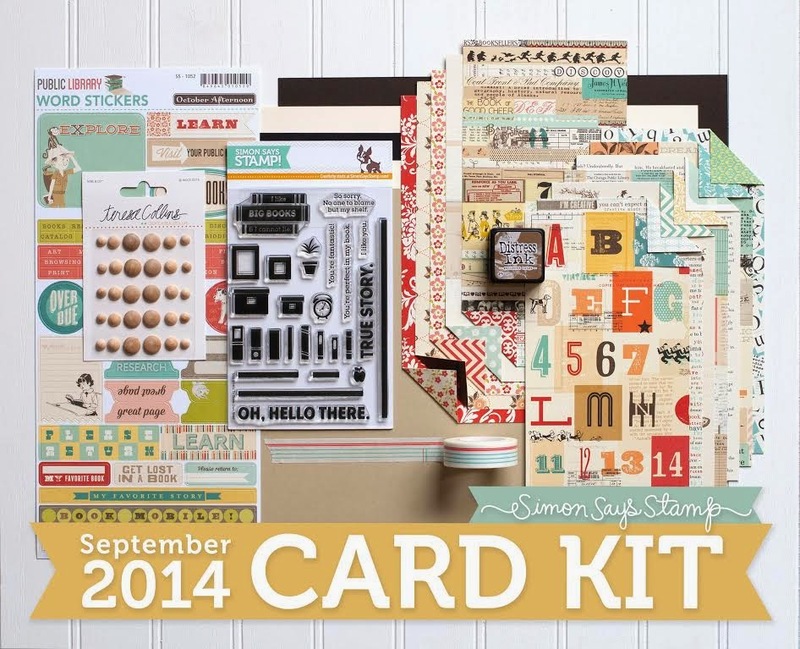 This is my first time getting a Simon Says Stamp card kit (Life is a Storybook). 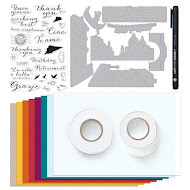 I am just too excited to play with the paper, stamps and embellishments from this kit. 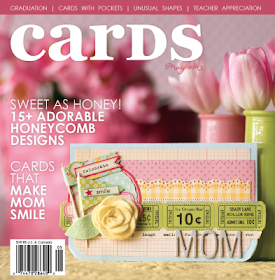 The vintage drawers in the card come from the pattern paper in this kit. All I did was to stamp the sentiment, books and plants. 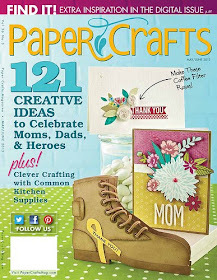 The bright color strip of paper was previously made with some new Neon Inks (Imagine Crafts). The small wooden dots are from Teresa Collins (included in the kit). 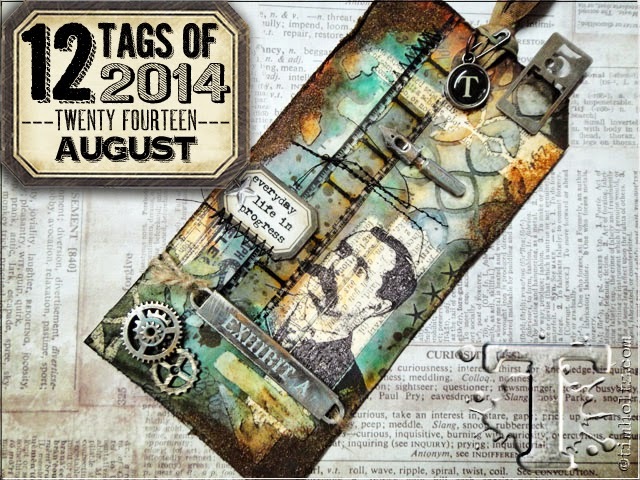 Tim Holtz's 12 Tags of 2014-August! Hello! I have been meaning to play the Tim Holz Tag challenge...but I never seem to have the right idea or supplies. Well, today is the day to share my creation with you. 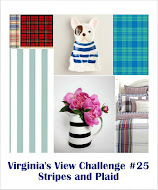 The latest August Tag Challenge is asking the participant to follow your own inner creative muse! Here is my simple take on this challenge. 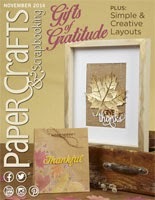 For the woodgrain, I actually applied the Vintage Photo Distress Ink after the white embossing paste dried. I thought I would enter it into this month's Mixed Media Challenge (stencil with modeling paste). 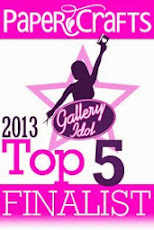 This my 2nd post for the day, You can click here for Simon Say Stamp or scroll down. A beautiful sample of all the design team's projects. For my project, I used Pure Innocence (It's a Sign). The girl image is so sweet... I am not really into doll images, but Pur innocence image is the rare exception for me. Thanks for stopping by! Your comments always make me smile! Hello! 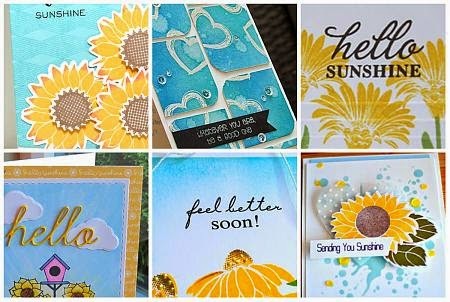 It's my day over CAS-ual Fridays Stamps Blog today! 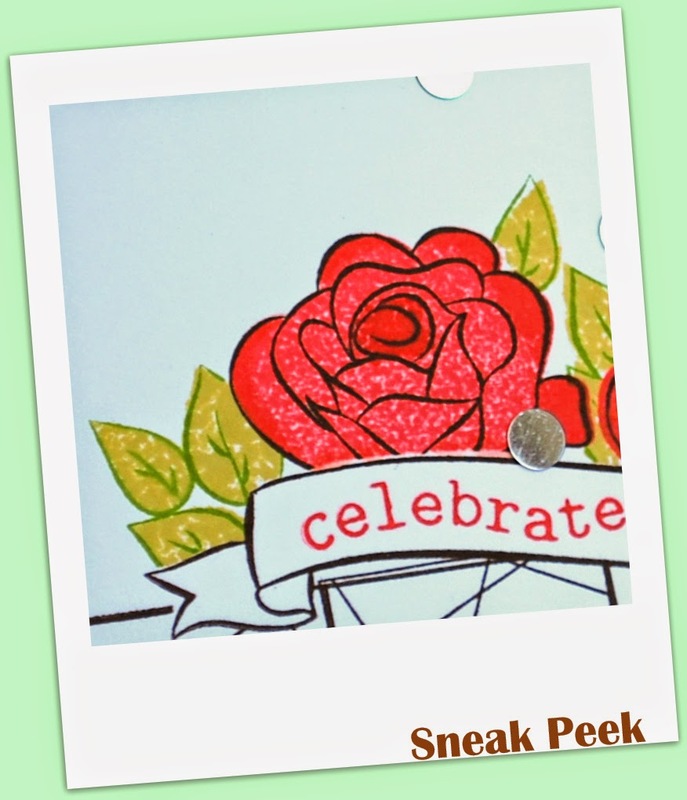 If you like to see how I used text background stamp, you must stop by CAS-ual Fridays Stamps here! 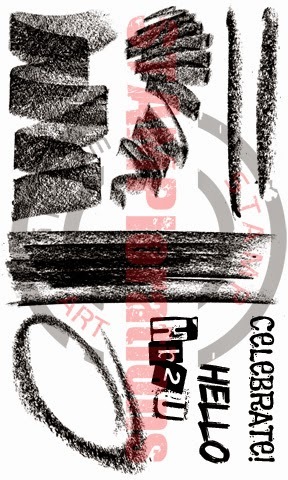 By the way, there is a CAS-ual Fridays Stamps Design Team call, do apply here if you want to work with these awesome stamps! The comment feature of this post has been disabled. I knew that I can't just stop at making just one card. I am entering this card to the challenge. Recently I have the good fortune to get a hold of the Neon Inks from Image Crafts--all 7 of them! 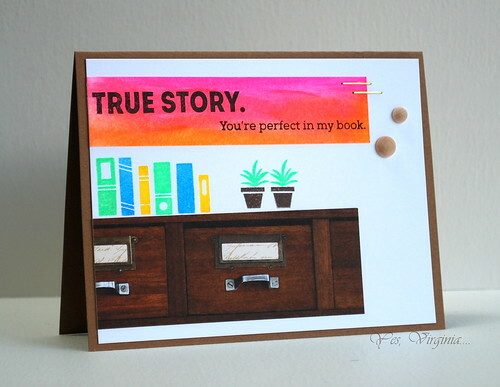 So that makes it super fun to create this 100% stamped card. 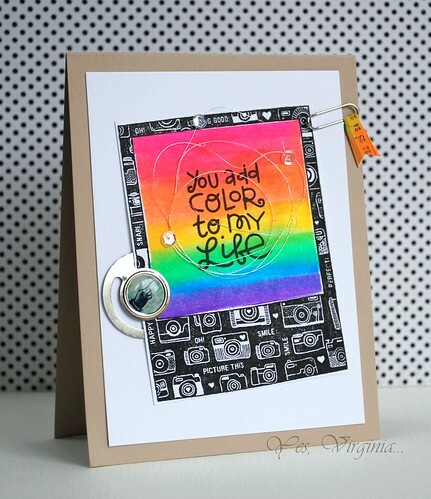 I am sharing another card that I made for Moxie Fab World's Clicking Cameras Challenge. Here is my first one, if you missed seeing it. 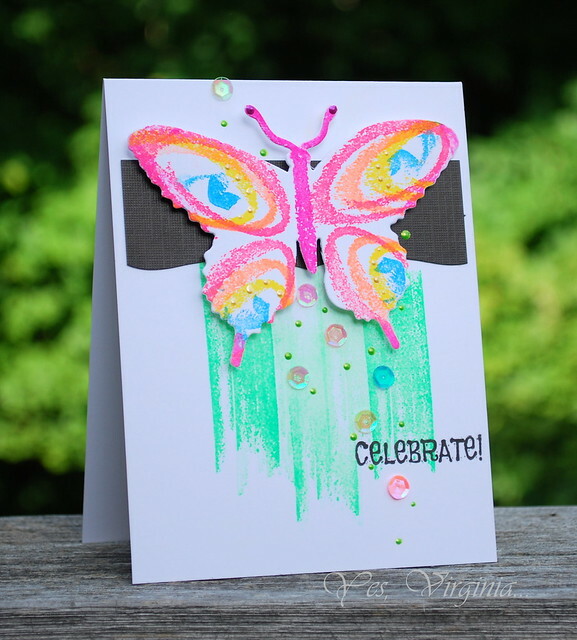 This card was prompted by my new acquisition of new Neon Inks (Imagine Crafts). I've got all 7 of them! I thought it would be fun to use all the colors with the Polaroid image. I did some masking and then swiped all the ink pads to create the colorful background. The clips are from Fancy Pants. 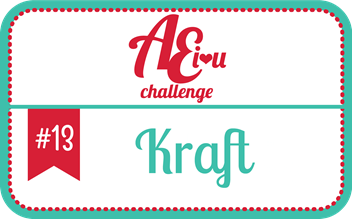 The latest Avery Elle Challenge is calling for kraft! 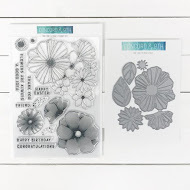 After embossing the entire kraft card stock in white, I found it really neat but a bit lacking in color...What can I say? I am truly a colorful person. 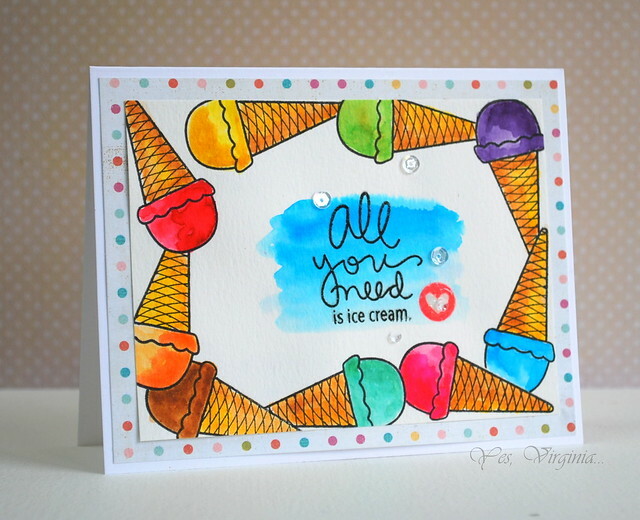 I resorted to my new Gelatos (Metallic Mint and Guava) and applied the inks with masked lines-- one line at a time. It is basically an Emboss Resist with Gelatos. I also used Avery Elle's Custom Panels to make all 3 small circles (colored with Gelatos on vellum) as part of the embellishments with the silver strings and sequins . Are you camera shy? If you are, this may be the challenge for YOU! Moxie Fab World has a new one called Clicking Cameras Challenge. Cameras are a big deal in my family. Dr. John loves photography and so it is not surprising that it also became a passion for my daughter Stephanie. 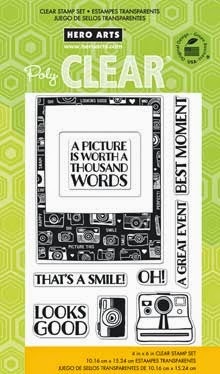 I am not good at photography, but at least I can make a card with a camera with ease (insert a smile)! 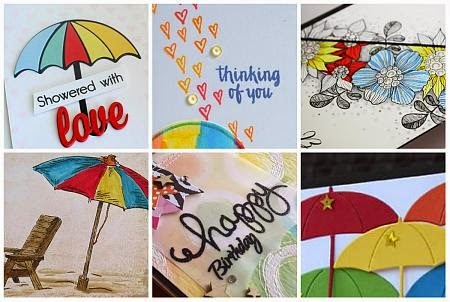 This one is all about watercolors! 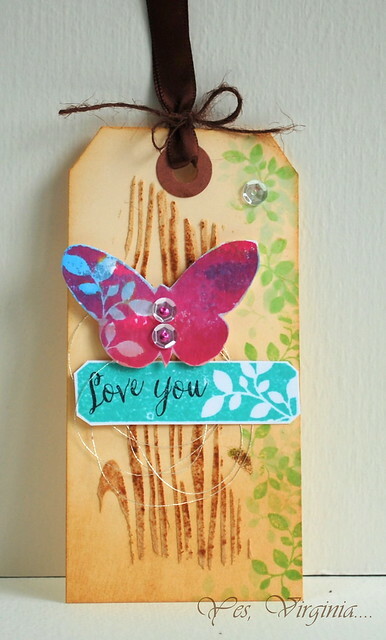 I love using stencils and embossing paste to create embellishments. 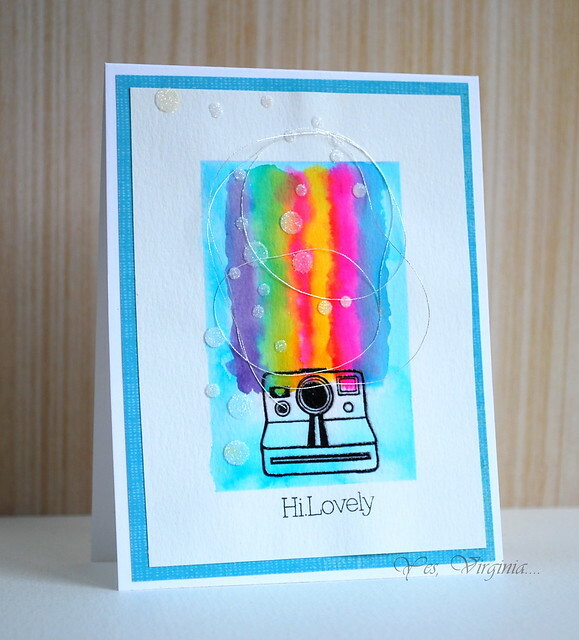 The circles are lovely with a bit of Martha Stewart glitter.The camera image was stamped in black and then clear-embossed. Since I am still crazy about watercolors, I decided to get my new toy out to play. It's the Peerless Watercolors. If you are thinking of getting watercolors, you should definitely consider these ones. The colors blend beautifully and the price is right! I cut my color swatches and put them on a piece of card board with double-sided tapes and added a color sample on the side. Pretty low-tech, but it sure works splendidly! This is my 2nd post for the day. 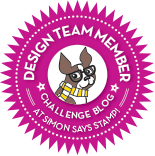 You can click here for Simon Says Stamp or scroll down. Here is a sneak peek of all the DT's project for StampNation. This set has so many fun summer treat images. 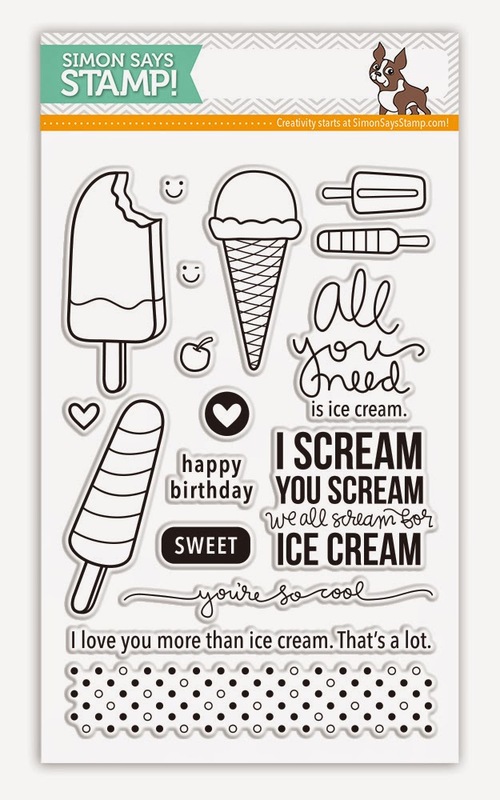 I decided to use the ice cream stamp to create a Cheer-up/encouragement card. 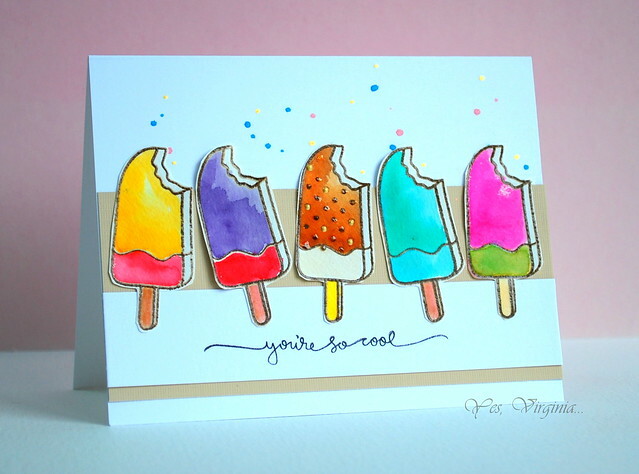 With some masking and water-coloring, this truly is a fun card to create. 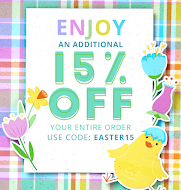 For the water-coloring, I recently got the Peerless Watercolors (see here) from Simon Says Stamp. If you are considering getting watercolors, I think Peerless is a great choice. 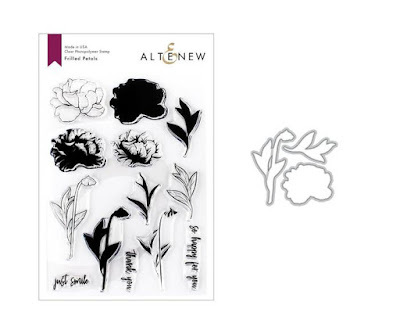 It blends well, is easy to use and the price is very reasonable. I cut out all the color swatches and attached them to the card board with double sided tape. It's very low tech, but it totally works! I also added the fun dotty paper for the background. For the sentiment, I first did the shades of blue with some water-coloring. After it dried, I stamped the sentiment in Versafine Black and then clear-embossed over it. Using Die Cut as a Stencil!